Mana Nomoto photo exhibition "Humpback Whale ～Paradise of the whale in Tokyo Metropolis～" held at RICOH IMAGING SQUARE OSAKA ended in a great success with many visitors coming. 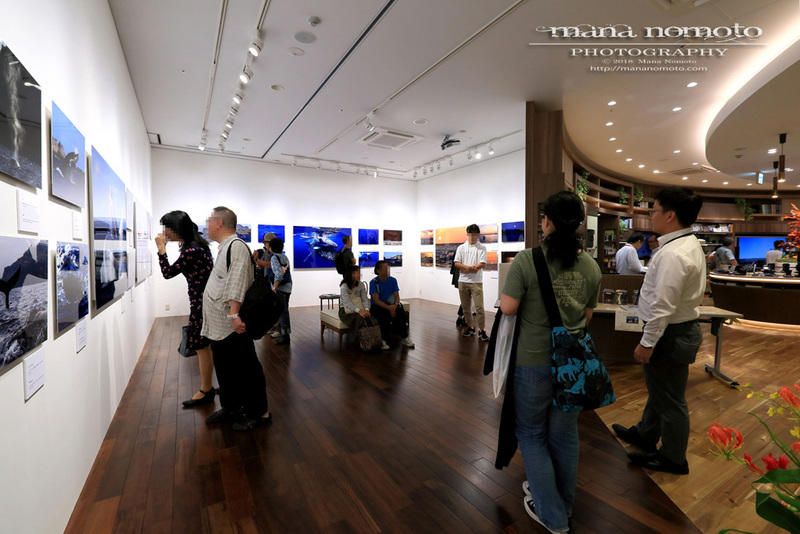 I am extremely glad that there were people who visited the gallery again and again and people who came all the way from afar. Thank you very much for everyone who visited gallery! Mana Nomoto produced and exhibited all works by Metal print at "PLANET BONIN：Memories of Paradise" held at Sony Imaging Gallery Ginza in June, "Humpback Whale ～Paradise of the whale in Tokyo～" held at RICOH Imaging Square Shinjuku in July, and at this time, "Humpback Whale ～Paradise of the whale in Tokyo Metropolis～" held at RICOH Imaging Square Osaka that was the first attempt in Japan and there was a great response. It was represented by a metal print which is one of the features of vividness and sense of depth which are not expressed in conventional photographic prints. 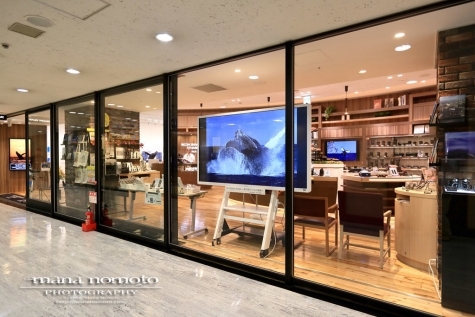 I think that you could have enjoyed the works with overwhelming presence that seems to be watching real nature, landscapes, creatures in front of you in the place. From "viewing pictures" to "viewing + realistically feeling pictures", this is a new style. Mana Nomoto photo exhibition "Humpback Whale ～Paradise of the whale in Tokyo Metropolis～" being held at RICOH IMAGING SQUARE OSAKA is finally be the last day today, Monday the 15th. 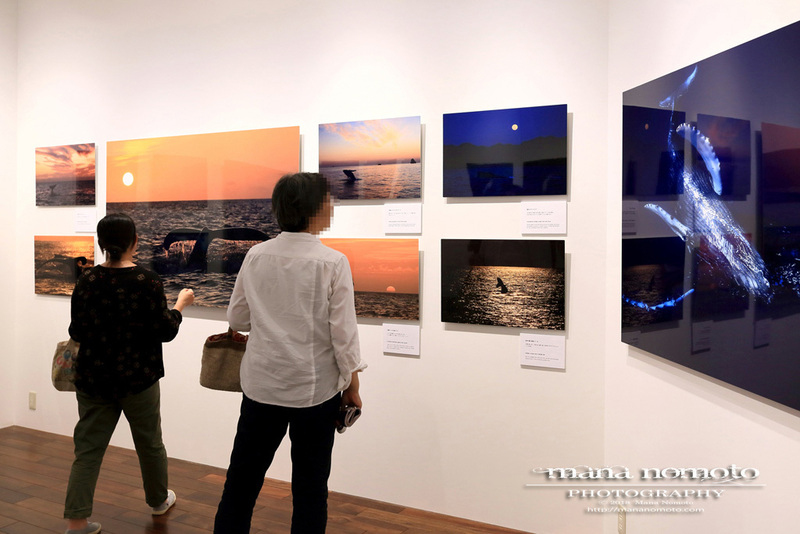 Do not miss the world of whale paradise that appeared in the big cities, reproduced with bright color and overwhelming presence with special metal prints! 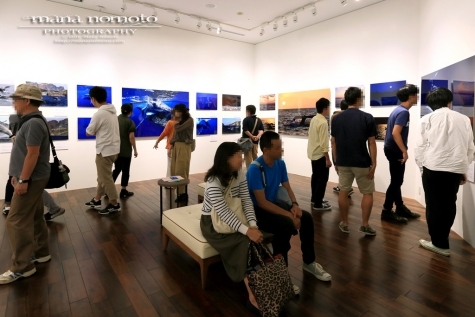 You can also see slideshows other than exhibited works at the gallery. 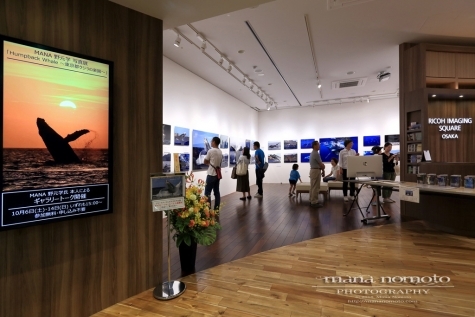 We are waiting for your visit at the gallery. We had a lot of visitors at the gallery today. 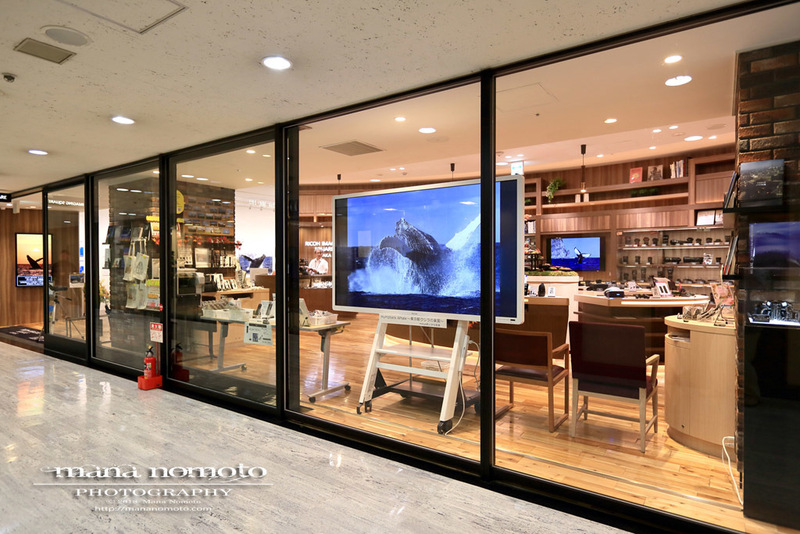 Thank you for taking part in the Mana Nomoto talk show. 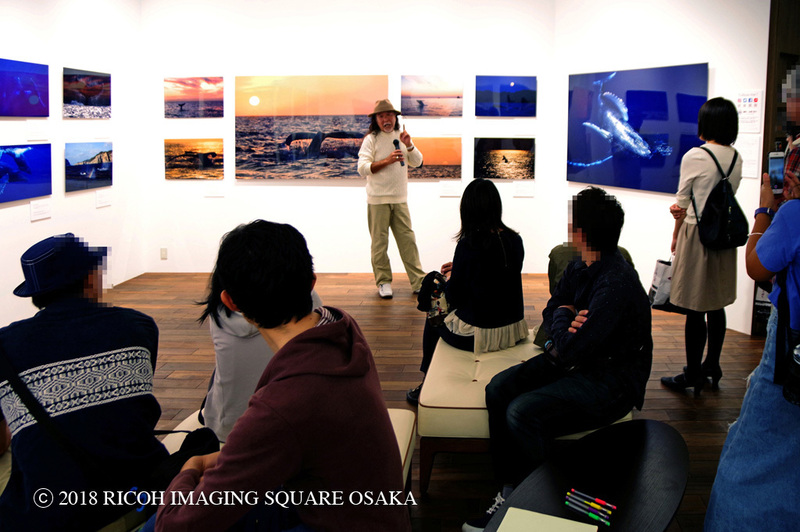 Tomorrow, Monday the 15th is the last day of the photo exhibition. Gallery will close at 4 p.m. tomorrow. 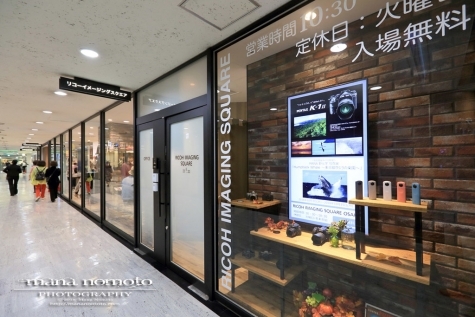 Please mind closing time, if you are planning to visit gallery. Mana Nomoto photo exhibition "Humpback Whale ～Paradise of the whale in Tokyo Metropolis～" being held at RICOH IMAGING SQUARE OSAKA is finally two more days left. 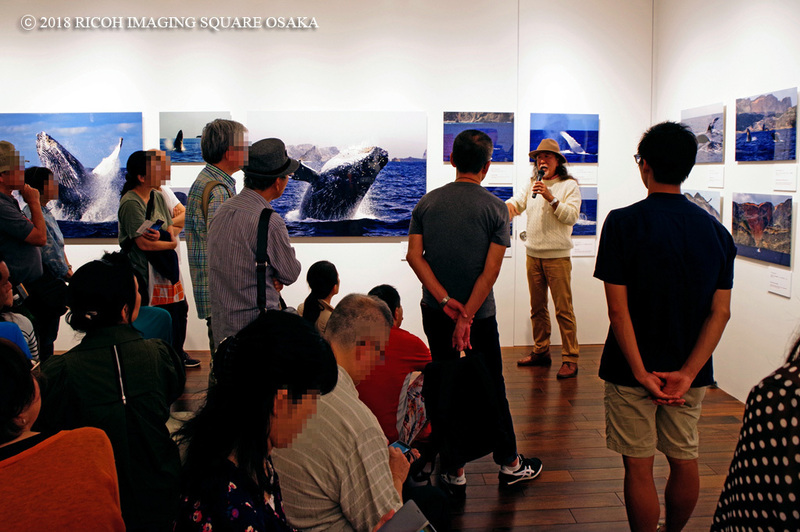 Mana Nomoto will talk about Humpback Whale, the secret shooting story and work explanation at the gallery from 3:00 p.m. to 3:50 p.m today. 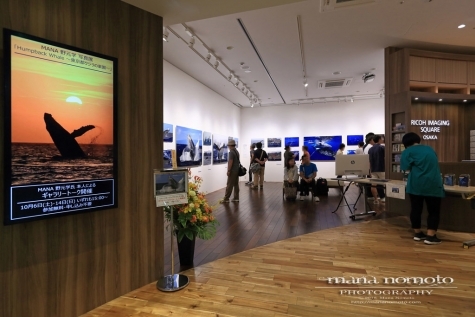 Mana Nomoto photo exhibition "Humpback Whale ～Paradise of the whale in Tokyo Metropolis～" being held at RICOH IMAGING SQUARE OSAKA is finaly in the second half. 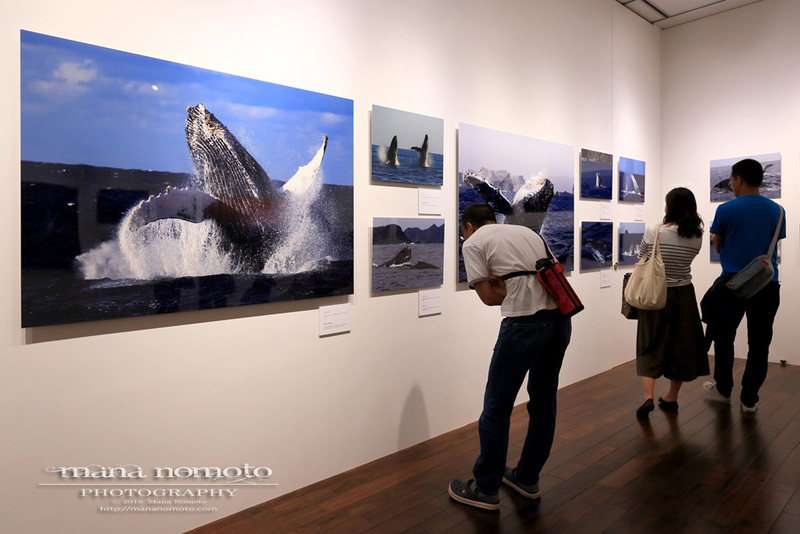 Please enjoy the world of humpback whales reproduced with clear brilliant colors and overwhelming presence with special print (metal print). Metal Print is printed on an special aluminum panel with 14 layers of special coating which is expressed transparency and depth (three-dimensional feeling) which are not present in the output by the existing silver salt print or inkjet printer. It looks as if you are seeing whales in front of you. 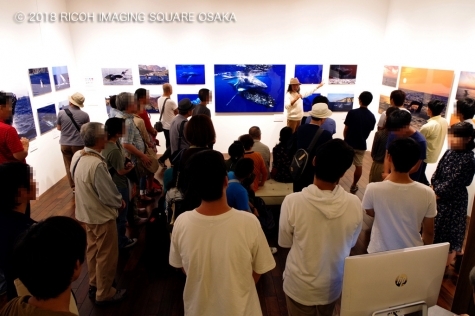 The photo exhibition is held until the 15th (Monday). Everyone in Osaka and Kansai area, don't miss it!